Bombardier has announced measures that will lead to a loss of 5,000 jobs over the next year and a half. The Montreal-based company announced it would sell the Q-Series turboprop aircraft program to Longview Aviation Capital for $ 300 million. The carrier obtained another agreement to sell its business aircraft flight and technical training session, which will be relocated from Montreal, Quebec City and Dallas to another multinational Montreal, CAE. Bombardier said the measures would result in annual savings of $ 250 million. Bombardier said its Longview and CAE businesses will have net proceeds of $ 900 million. The company's revenue reached $ 3.6 billion in the third quarter, down approximately five percent year-on-year. The company achieved a profit of $ 149 million for the quarter, better than the loss of $ 100 million in the same period last year. Bombardier CEO Alain Bellemare said the cuts and sales are needed and the company will continue to "streamline" operations. Commenting on the sale of the turboprop division, analyst George Ferguson of Bloomberg Intelligence said he believes the Q Series will generate "little to no profit" for the company this year, the company said Analyst sense to sell it. While Bombardier focuses primarily on the company's jets, few of them earn a significant amount of money for the company. This is in contrast to the rail transport business, which continues to generate money. "Transportation will generate almost all of the cash flow as the aerospace industry will remain flat at best in 2018," said Ferguson. Bombardier Chief Financial Officer John Di Bert said on Thursday morning in a conference call with investors that "the measures announced this morning show our concentrated efforts to increase profits and cash flows." "We will continue to take concrete action to reshape Bombardier's portfolio. " 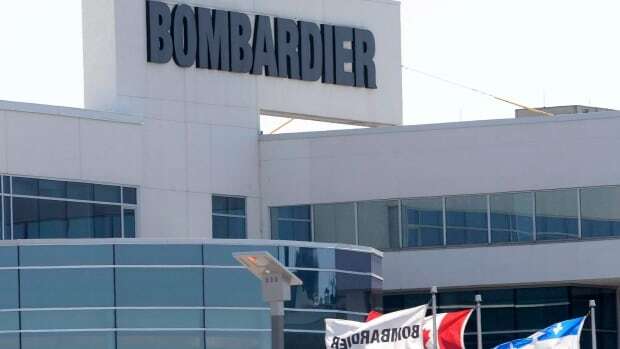 Bombardier spokesman Simon Letendre confirmed 500 jobs will be cut in Ontario, where the company employs 6,500 people. In Quebec, 2,500 jobs will be cut. The company employs 70,000 people worldwide. The remainder of the approximately 2,000 job cuts will come from operations not yet mentioned outside of Canada. David Chartrand, Coordinator of Quebec for the International Association of Machinists and Aerospace Engineers, said on Thursday that the announcement was "unfortunate and disturbing." "On Saturday, the presenter of Radio-Canada spoke to Alain Gravel in the morning.
" The biggest frustration is that Bombardier has announced substantial cuts again just before the holidays, "Chartrand said. Please state which employees will be affected. "About 20,000 people work for Bombardier in Quebec, he said.
" That's 20,000 employees with question marks in their heads. " Chartrand hopes that the union will be able to reach an agreement with CAE that is compatible with the agreement reached with Airbus Similar to CAE, recruit and retain Bombardier staff. About a year ago, Bombardier had taken a checkpoint in his C series business at Airbus, and Bloomberg analyst Ferguson expects Airbus to ultimately prevail in taking over the entire transaction. "If the C Series succeeds, it's likely that Airbus will buy the remaining cost with their options," he said Thursday. "Bombardier seems ready to contact a manufacturer of business aircraft and rail vehicles."